Following our series of departures, Josh Balz announced his departure from Motionless In White after 10 years, on his Instagram page. 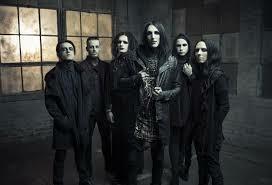 to connect with along the way, but with that being said it is time for me to depart from Motionless In White. This year a lot has changed in my life from The Strange and Unusual growing immensely, to MIW signing to a major label, and a million other things that altered my life for both good and bad. Ive learned so much, and now understand on a new level what it is like to really experience life struggles, what is really important to me, and in this discovery and self reflection I've found myself. I've always been the one to go out and talk to and hangout with fans, as all of you know... but this past year I was honestly just hanging on because I felt I would let everyone down if I left. Im finally ready to refocus my time to worry about myself, and what I really want, and what makes me happy. And in that, I understand that it is time to stop being a part of MIW. It's funny how after all of these years, I feel MOST connected to our fans, and truly understand their struggles and connect with them more than ever. And with this realization, comes my exit. The bottom line is, you have to do what makes YOU happy. We all have one life to live, and we can't live it for anyone else. I know this news may disappoint some fans, but this isn't a bad thing. I've grown up with all of you, and this is just the next chapter for me! I'm sure this will not be the the last you see of me in the music Industry, and you guys know where you can always find me! Keep staying strong and fearlessly following your dreams, wherever they may lead you. Thank you for the most amazing 10 years. Here's to the next chapter!